According to a report jointly published by Mintel and Leatherhead Food Research, stevia-sweetened foods and beverages are gaining traction with consumers. The report values the stevia ingredient market at $110 million in 2013 and projects it will grow to $275 million by 2017. “Plant-derived sweeteners, such as stevia, are expected to provide the main impetus for growth in the sweetener market in the coming years,” says Emma Gubisch, strategic insight manager at Leatherhead Food Research. Laura Jones, food science analyst at Mintel adds, “Much of the growth in the global sweeteners market is set to be driven by growing consumer concerns over sugar intake, whilst the development of more plant-derived sweeteners is also anticipated to benefit the market. The gradual demise of sugar yet desire for sweetened food and drink products, suggests good opportunities for intense sweeteners. Stevia-based ingredients are considered natural, high-intensity sweeteners. They are based on extracts from leaves of the Stevia rebaudina plant, which contain intensely sweet steviol glycosides. These compounds are non-cariogenic, contain no calories and have a zero glycemic index, making them safe and suitable for diabetics. Most stevia-based sweeteners are 200 to 300 times sweeter than sugar and allow for a sugar reduction of 50% or more in dairy applications such as milk-based beverages, ice cream and yogurt. For more information about formulating yogurt with stevia, please link HERE to read an article I wrote for Food Business News entitled Building a Better Yogurt. For more information about formulating beverages with stevia, please link HERE to read an article I wrote for Food Business News entitled Lighter Back-to-School Beverages. Booozah LLC introduces two flavors of ice cream bars fortified with protein. 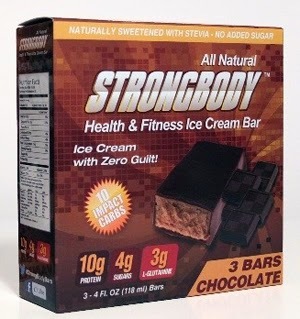 Marketed under the StrongBody brand, these creamy, milk-based bars are ideal for snacks, dessert and after a workout or strenuous exertion. The 4-ounce bars are available in vanilla and chocolate flavors, both as grab-and-go singles and 3-pack multipacks. The bars are enrobed in a 72% dark chocolate for added eating pleasure. Milk is the number-one ingredient, providing 25% of the Daily Value for calcium. A bar comes packed with 10 grams of whey protein and 3 grams of L-Glutamine. The bars contain no added sugars, as they are sweetened with stevia for a total of 4 grams of sugar (from inherent lactose) per serving. In France, Glaces Thiriet recently introduced Thiriet Avantages & Bien-Être Hypoglucidique frozen desserts. Free from added sugars and high in fiber, thanks to the addition of fructooligosaccharides, this stevia-sweetened ice cream contains 30% less calories, 50% less carbohydrates and 45% less fat than regular ice cream. In July, Meiji Japan added Meiji Yogurt R-1 Low-Calorie and Low-Sugar Yogurt to its R-1 line of patented probiotic yogurts made with the lactic acid bacterial strain 1073R-1. The new product comes in single-serve 112-milliliter packs containing 50 calories. The drink is described as being 44% reduced sugar and 33% reduced calories, as compared to its original version. 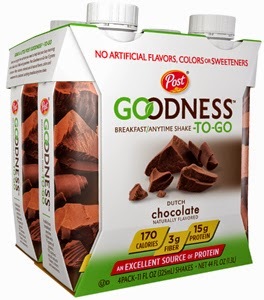 Post Foods is introducing Post Goodness-To-Go breakfast shakes. Available in three flavors—Dutch Chocolate, Mocha and Tahitian Vanilla--these balanced, satisfying shakes are free of artificial flavors, colors and sweeteners. The drinks rely on a blend of agave, monk fruit and stevia and contain only 170 calories per 11-ounce single-serve, shelf-stable carton. Other ingredients include low-fat milk, milk protein concentrate, whole grain oats, soy protein isolate and inulin. A serving provides 15 grams of protein and 3 grams of fiber. Powerful Yogurt is a super-protein Greek yogurt that aims to serve the health and performance needs of busy men with active lifestyles. The product is differentiated from existing Greek yogurts by its 20 to 25 grams of natural protein per serving, which is a “man-sized” 8-ounce container that is at least 33% larger than most individual-serving Greek yogurts. To keep sugars down to 21 to 23 grams per serving in the fruited varieties, the company uses a combination of sugar and a stevia-based sweetener. 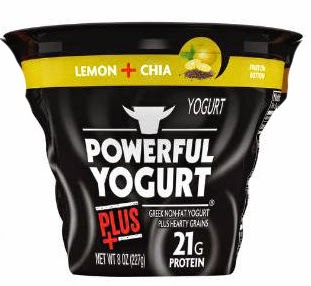 Most recently, the company has added Powerful Yogurt PLUS+ to the lineup. The Powerful Yogurt PLUS+ line of Greek yogurts adds hearty whole grains to the company’s signature high-protein Greek yogurt. Powerful Yogurt PLUS+ has 21 grams of inherent milk protein per 8-ounce serving. It comes in three varieties: Coconut + Quinoa, Tropical Fruit + Oats and Lemon + Chia. This line extension is also sweetened with stevia. Link HERE to an interesting blog on “brogurt” from my friends over at Packaged Fact. 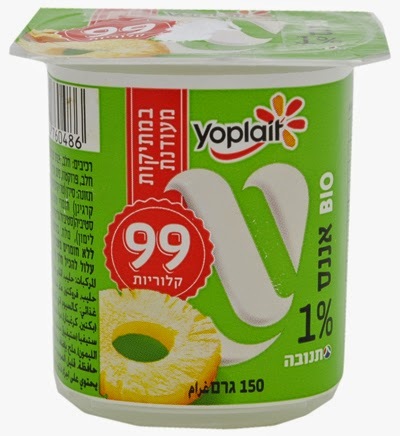 In Israel, Tnuva, the country’s largest dairy, markets 1% fat Organic Yoplait yogurt under a licensing agreement with French-based Sodiaal and U.S.-based General Mills. The new yogurt, which comes in flavors such as peach, pineapple and strawberry, contains a mere 99 calories per 150-gram container thanks to the use of stevia, which keeps calories and added sugars at a minimum. 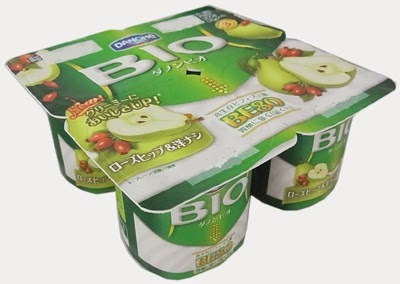 Danone Japan has reformulated and repackaged its Danone Bio yogurt line, which is now sweetened with stevia. Containing the company’s proprietary probiotic BE80 bifidus, the yogurts are sold in four packs of 75 grams each. Flavors unique to the Japanese market include aloe, coconut, fig and white peach. 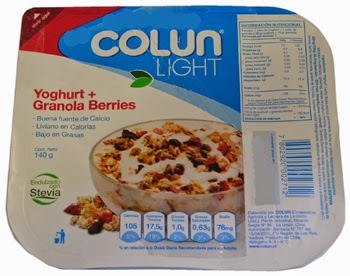 In Chile, Cooperativa Agrícola y Lechera de La Unión Ltda., adds Colun Light Yogurt Cereal with fruit to its popular Colun Light line. The 140-gram cup contains nonfat plain yogurt lightly sweetened with stevia and a dried fruit with cereal topping. A single serving contains 105 calories and 7 grams of protein. 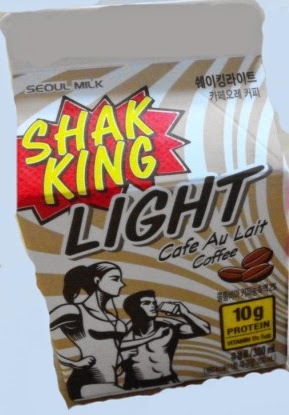 And lastly, Seoul Milk, Korea’s largest and oldest dairy company is shaking the fluid milk category up with Shak King Light, a high-protein, high-fiber, reduced-sugar flavored milk beverage. The stevia-sweetened beverages come in four flavors: Banana & Strawberry, Cacao, Café au Lait and Sweet Potato. 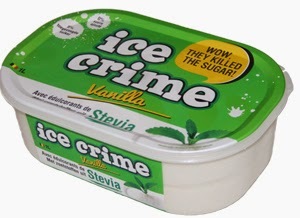 The opportunities to use stevia to sweeten dairy foods are infinite. This no-calorie sweetener helps marketers keep calories and added sugars low in many product formulations.